Aviation engineers and technicians in-the-making can now flex their skills with Boeing F/A-18 Super Hornet. Designed by Meccano, formerly Erector, and developed in partnership with Boeing, this model airplane building kit is set an accessible novice-level. Build an epic flying machine using the Boeing F/A-18 Super Hornet kit. Set at a novice-level, and measuring 13” long, this S.T.E.M model jet is the perfect project for a curious mind. 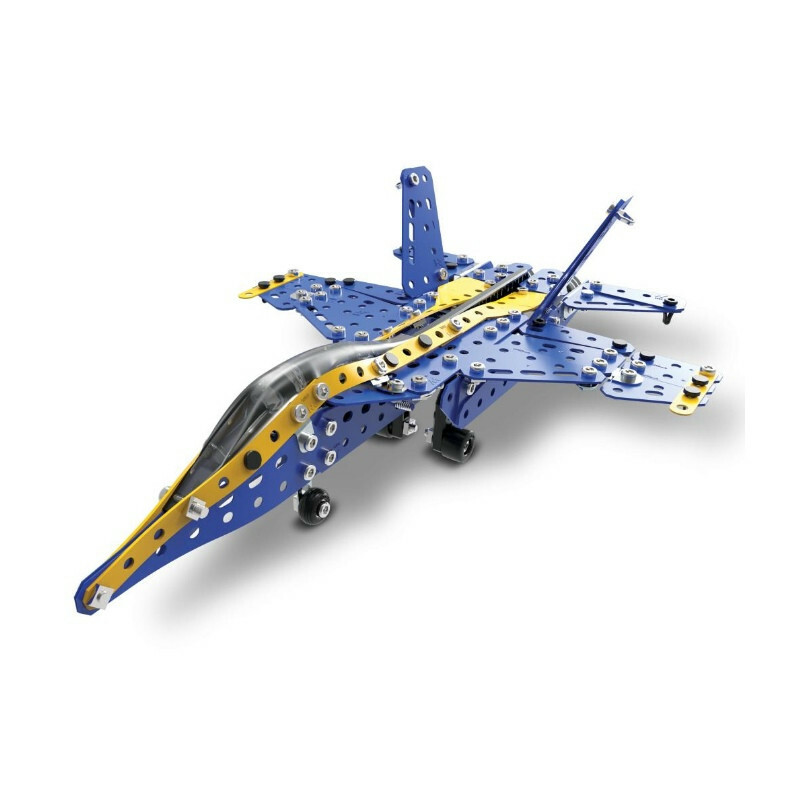 Developed by Meccano, formerly Erector, the Boeing F/A-18 Super Hornet features realistic details, such as folding landing gear and foldable wings, which will fuel hours of imaginative play. This sleek plane is composed of real metal parts. Kids can enjoy an authentic building experience and the polished look of the finished jet. 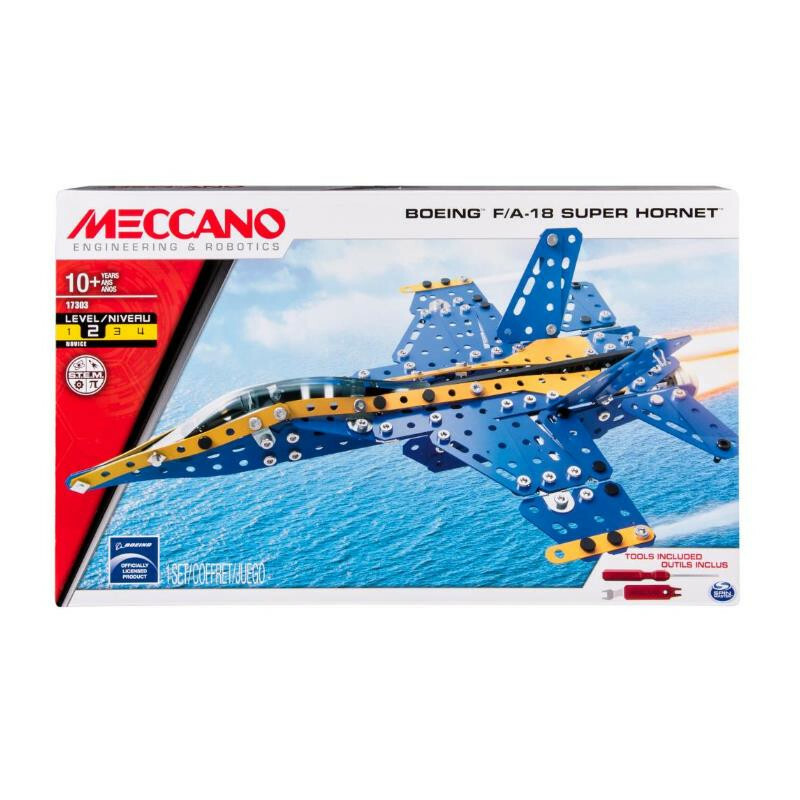 The Meccano Boeing F/A Super Hornet Model Jet is recommended for kids aged 10+. 2 Real tools included. Novice complexity level. Build time between 1-3 hours. No batteries required.